You can’t throw a brick into the Googlenets these days without hitting some survey that bemoans the current low state of trust in society. And while there’s a lot of truth to those surveys, there’s far more uncritical thinking and sloppy theorizing. 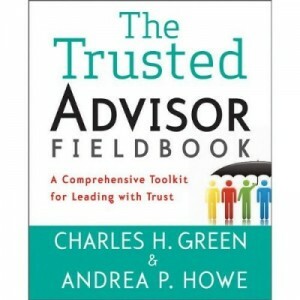 The truth is, there are some powerful ways in which trust has actually increased in recent times, and even more in which trust has stayed broadly the same. Much writing on trust neglects to make two simple distinctions. The first is that between trusting and being trusted; both are required for trust, and they are quite distinct. I’ve written separately on that. The other is between personal and institutional trust. Personal trust is by far the stronger of the two. You may trust Amazon, but it’s only to send you books; you wouldn’t let Amazon the company babysit your infant or search for imported food contaminants. And you’re a lot more likely to put your life on the line for your children than for your Coke/Apple/favorite brand. (A notable exception is national patriotism). Most of the surveys that decry the decline in trust are talking about institutional trust. And it’s true: our “trust” in the judiciary has declined. Ditto for most professions, congress, the police, banks, retail stores, and established religion. These are all small examples of how the world has become far more linked. Many of us wouldn’t have considered doing these things ten, even five years ago. These are examples of increased institutional trust. And, they are examples of trusting, the propensity to trust; at the same time, they suggest pretty high levels of trustworthiness. In fact, an enormous amount of daily life consists of little examples of trust: mostly social and personal, but also institutional. Don’t let the headlines make you forget it. That said, trust really is down in a few areas, and it’s important to be clear about just where. Note this is an issue that didn’t even exist a decade ago. Also, it’s an issue affecting pretty much any large organization involved in financing. Also, and most important, check how many people have stopped shopping at Target because of concerns about credit cards – I’d bet very few. Saying “trust is down” without specifying “trust to do what?” is silly. You might as well say “love is down” without grounding the statement in divorce rates, dating sites or something else concrete. 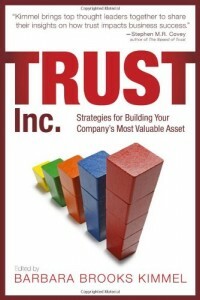 The most important way in which trust really is down is in what Eric Uslaner calls generalized trust. As measured by the General Social Survey for 50-some years, it basically asks, “By and large, do you think people mean well, or can’t you be too careful?” In other words, it is a generalized propensity to trust strangers. On this measure, there is a very gradual, but nonetheless real, decline over the years. High levels of propensity to trust have been linked to education and optimism. Low levels of propensity to trust have been linked to pessimism and low exposure to out-groups. It is a true, important, and sad, statement that trust in this sense has indeed declined in the US, and probably in most western world countries. And that is something to be concerned about, far more than whether “trust” in the pharma industry is down x points on a survey last quarter.